Exchange 2013 powershell errors out, and Exchange 2013 ECP doesn’t work correctlyNasz klient ma zawsze racje – Opinia Eksperta! 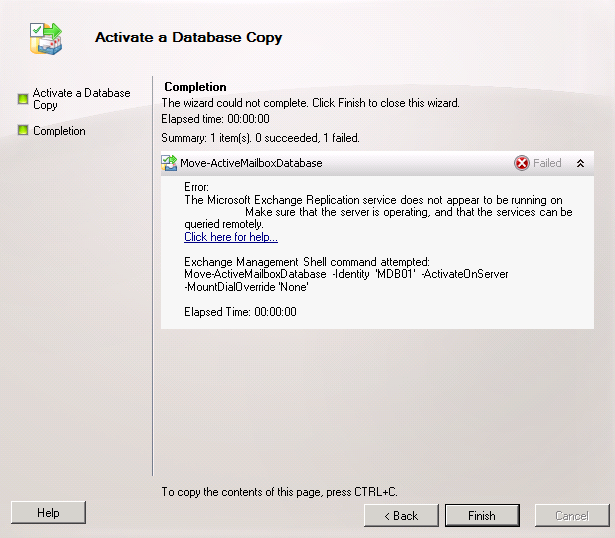 When trying to move a mailbox database from one Exchange 2010 DAG server to another there’s an error displayed: The Microsoft Exchange Replication service does not appear to be running on “PassiveMailboxServer”. Make sure that the server is operating, and that the services can be queried remotely. The error itself seems to be very descriptive but there are actually lots of reasons it can be happening. 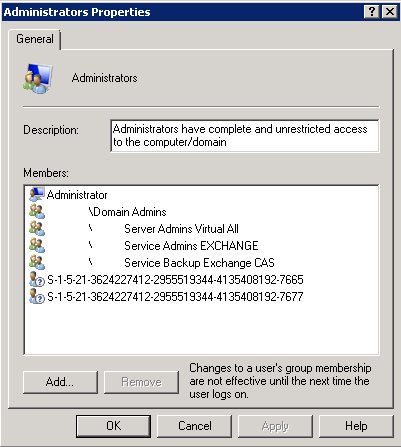 In our case the Microsoft Exchange Replication server was up and running. It was even reporting Healthy status. Still the error was there during every move. 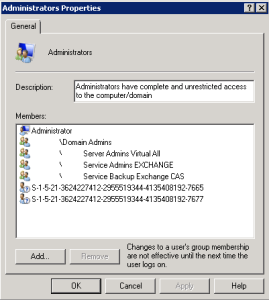 The Microsoft Exchange Replication service does not appear to be running on “MBX2”. Make sure that the server is operating, and that the services can be queried remotely. In our case it was clearly broken because SID's were not resolving correctly. Those 2 groups are crucial for Exchange 2007, Exchange 2010 and Exchange 2013 to work properly regardless of the problem. Make sure that Exchange Trusted Subsystem group holds all your Exchange Servers and Organization Management group holds your Administrative account.